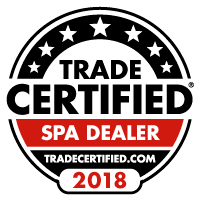 Evergreen Spas & Saunas has specialized in offering not just relaxation products, but a relaxing shopping and ownership experience since 1989. Our team of sales, service and delivery specialists share over 75 years of combined experience in the Hot Tub industry. You simply won’t find a more dedicated or highly trained and experienced local company to help you with your plans. Hot tubs, spas, saunas and outdoor furnishings may sometimes look similar but once you make the choice of what to buy, the difference between the other products and our quality and value always becomes clear. 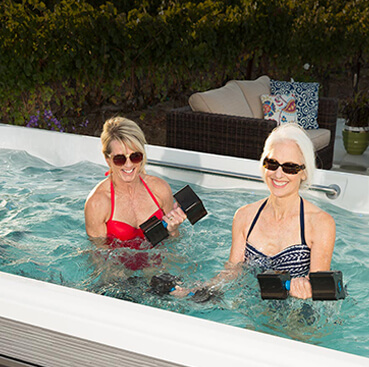 You take your hot tub plans seriously and so do we…you’ve researched…shopped and heard opinions from friends and you know what you want now put our experience to work for you! There is always a best choice. The best may not always mean the most expensive, or the biggest, it’s what is right for you, your family, home and your budget. At Evergreen, we define being the best as a calling to serve each of our customers with the certainty that the hot tub, sauna or outdoor furniture they choose has been tailored to their individual needs and lifestyle. There is no one-size fits-all approach here. When you choose your new hot tub, sauna or outdoor furniture from us, it is the end of your shopping, but the beginning of a long and enjoyable ownership experience. Ensuring that positive experience is what we are all about! The foundation and success of our business is the satisfaction of our customers that chose Evergreen of Mishawaka to help them make the best choice for their new hot tub, sauna and outdoor furnishings.